for vintage or bronze . 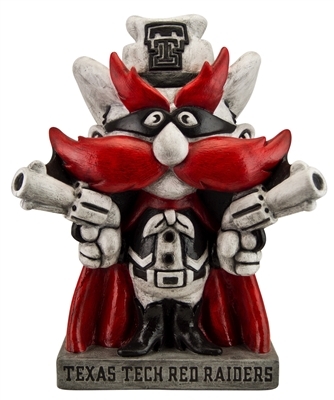 The bright red mustache and cape along with dual pistols give him away. 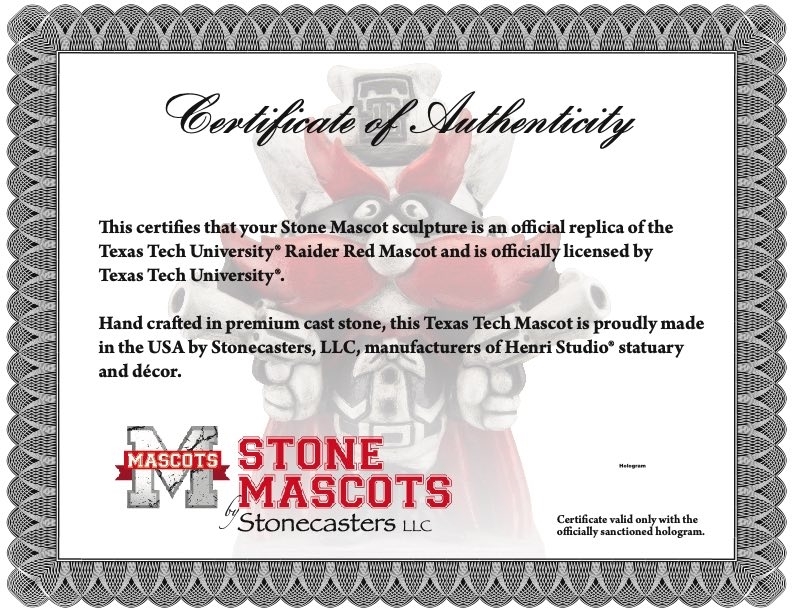 It’s got to be Raider Red, Texas Tech University’s mascot produced by Stone Mascots. 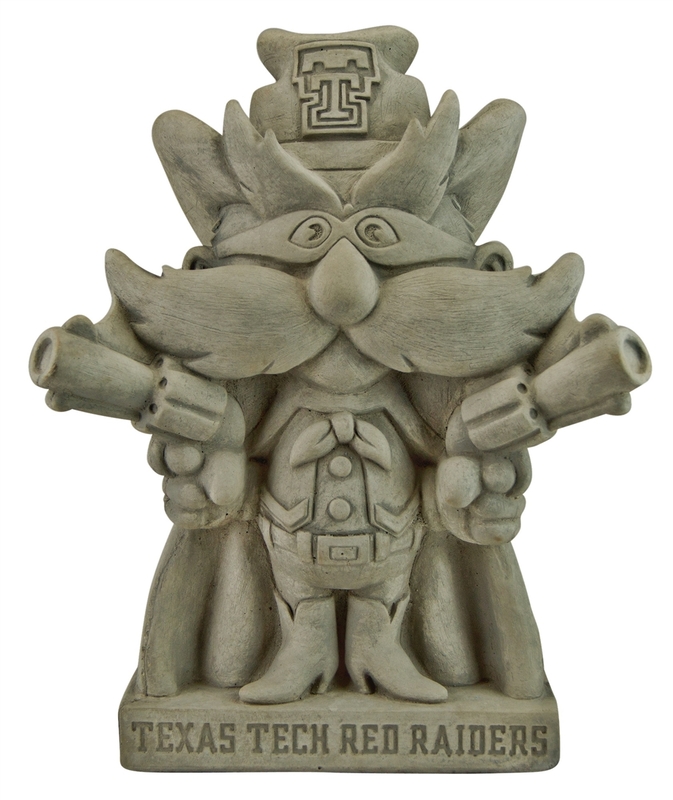 Red Raider fans will surely want him for their tailgate or Tech den. Raider Red was introduced in 1971 by the Saddle Tramps booster club as complement to Texas Tech’s masked rider, who rides a live horse. However Red can go where the horse can’t, so he’s always available for public appearances and pictures with Raider fans. He’s also been honored as the Capital One National Mascot of the Year in 2012. 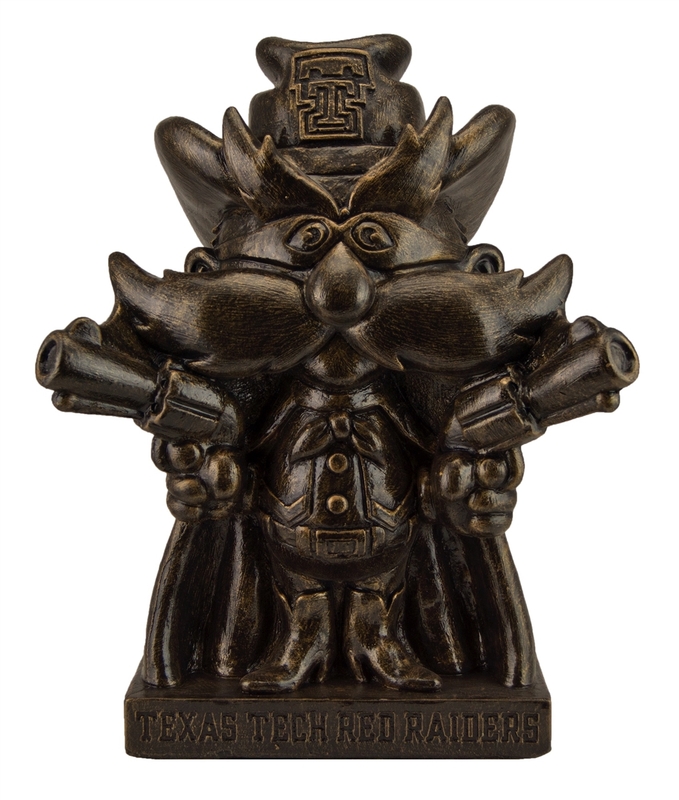 Our Raider Red is made in the USA from premium cast stone and is resplendent in Texas Tech red and black, while sporting a 10-gallon hat and those intimidating "only in Texas" six-shooters. Also available in classic bronze or vintage finishes, Raider Red is a must-have for any ardent Tech fan. Order now and receive free shipping. University of Kentucky "Wildcat" University of Iowa "Herky the Hawk" Kansas State University "Powercat" University of Alabama "Big Al"
Stanford University "Tree Logo" Mississippi State University "Bully" University of Georgia Bulldog "UGA" University of Tennessee "Smokey"